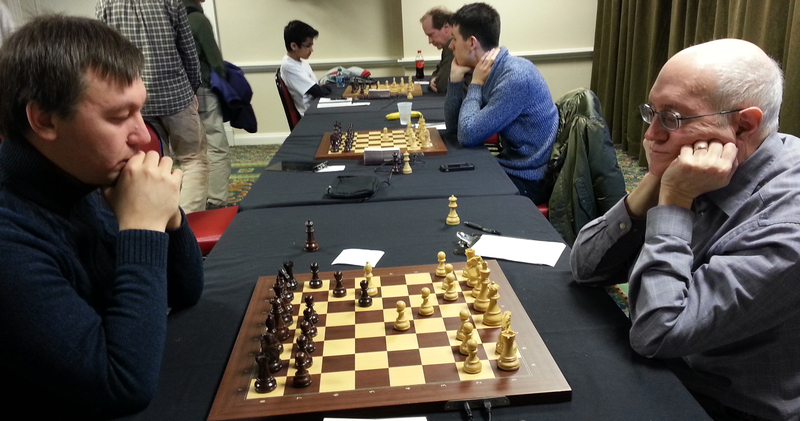 In January, I played one of Mike Regan’s 5-round tournaments, the Championship section of the Chesapeake Open at Rockville, Maryland. 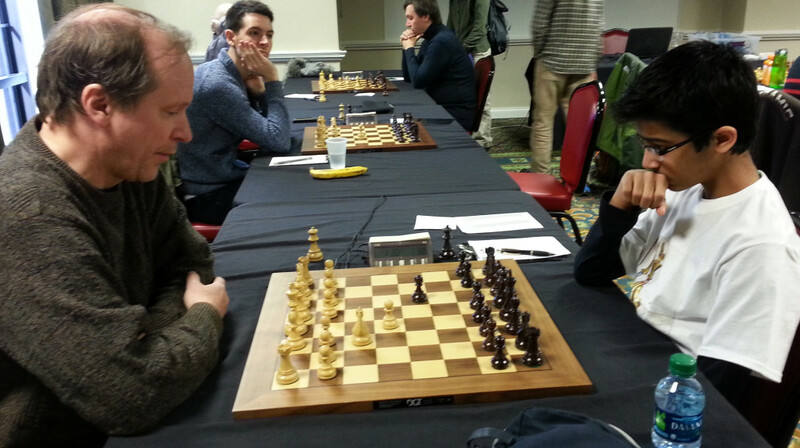 This year’s edition was quite strong, and happened to attract none other than the reigning US Chess Champion, GM Gata Kamsky! 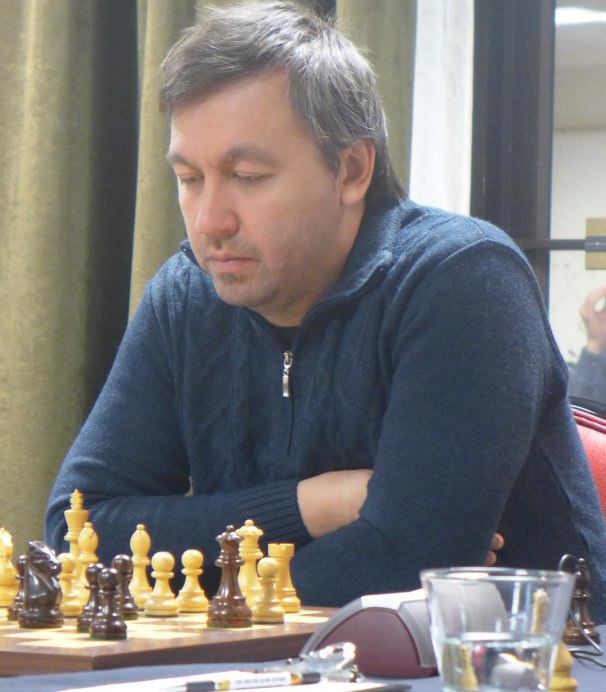 Gata is a 5x US Champion, and was regularly among the world’s elite for several years. His rating has dipped a bit from 2740 FIDE to 2675 over the last 2 years, but that is hardly an indication of his actual strength. 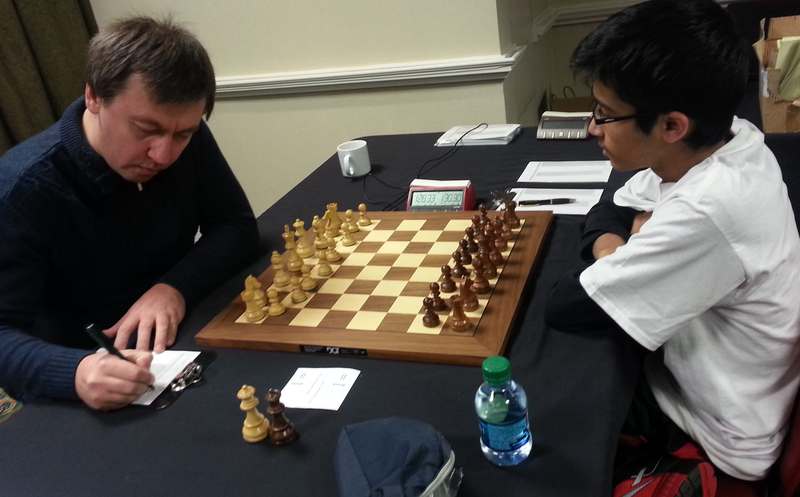 I faced a bright youngster in the first round, Brandon Jacobson (1981 FIDE). He played the Berlin (who doesn’t these days? ), after which the game evolved into a typical Ruy Lopez position. 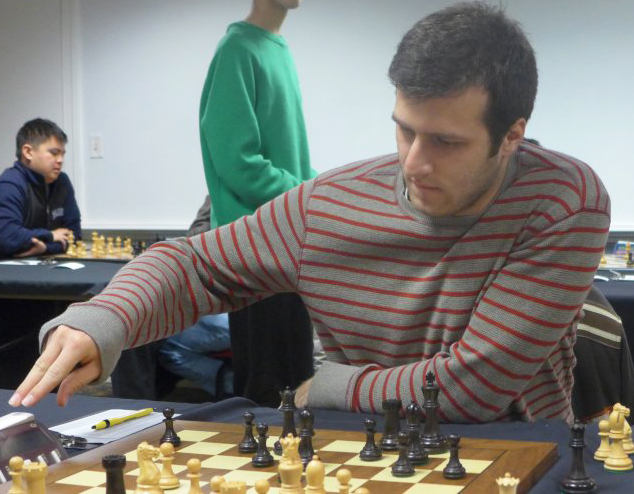 Brandon played extremely well (he’s definitely underrated by at least 100-150 FIDE points), and the game was still complex when he made the decisive blunder. 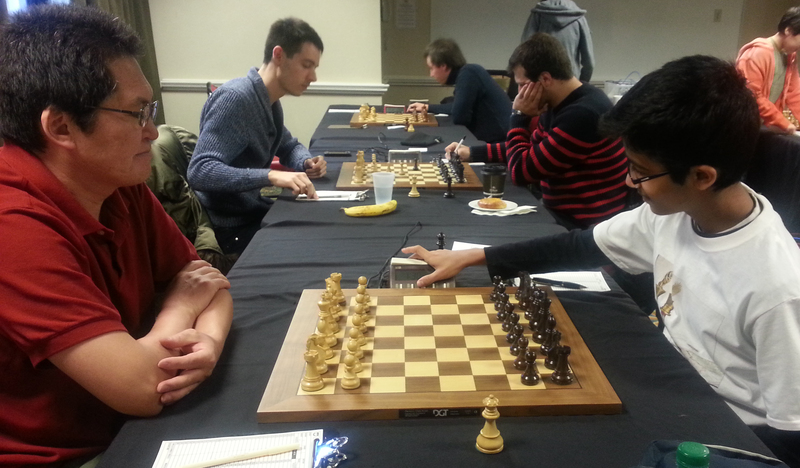 In the 2nd round, I played Karl Dehmelt (2241 FIDE) as Black. He played a rare line to avoid the Open Sicilian, but later on ended up getting an inferior version of the Open Sicilian type positions for White. I then won two pawns, and reached the time control with an easily won position. Karl resigned 14 moves later. The competition started to become tougher now, as I faced German GM Niclas Huschenbeth (2548 FIDE) as White in Round 3. I played an interesting line, and quickly built up a strong advantage. We made some inaccuracies, and eventually traded down into a promising endgame for me. But I made a couple of mistakes which blew the advantage, and so I had to settle for a draw. It was frustrating to let a strong GM off the hook, as one has to make the most of such opportunities. So now I was 3.5/4 with one round to go. As expected, I played Gata in Round 5, and was Black again. Hey, why couldn’t Gata get a double-Black instead of me 🙂 . Our game was a rather dull affair, with White having a slight, nagging advantage, but nothing more. I kept the balance for 40 moves, but upon reaching the time-control, I made a hideous blunder which destroyed everything. Gata found a neat breakthrough to refute my move. It was sad to lose against the US Champion when I had kept things in balance all throughout. This game was the last one to finish, and was a 5-hour affair. I’m referring to this as “training” , as I gained some vital experience, and learnt some lessons from my game with the US Champ! 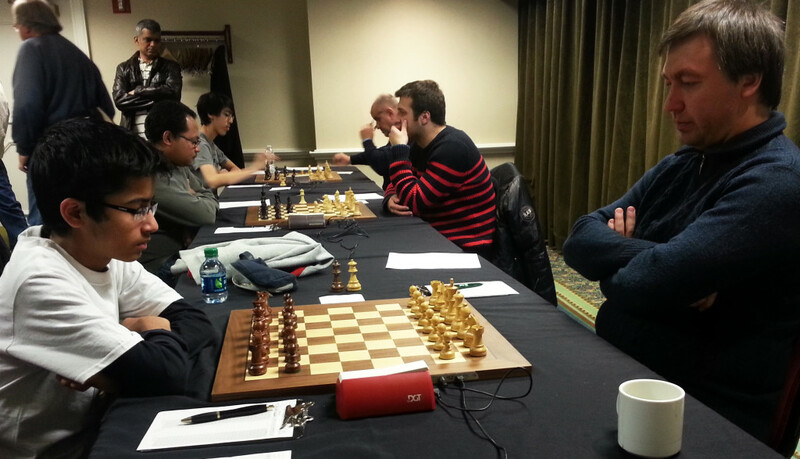 Overall, I was content with how I played the tournament, though the last round loss to Gata will sting for a while. I’ll just have to get him next time 😉 . All pictures are either my own or from official website. For more official pictures click here. 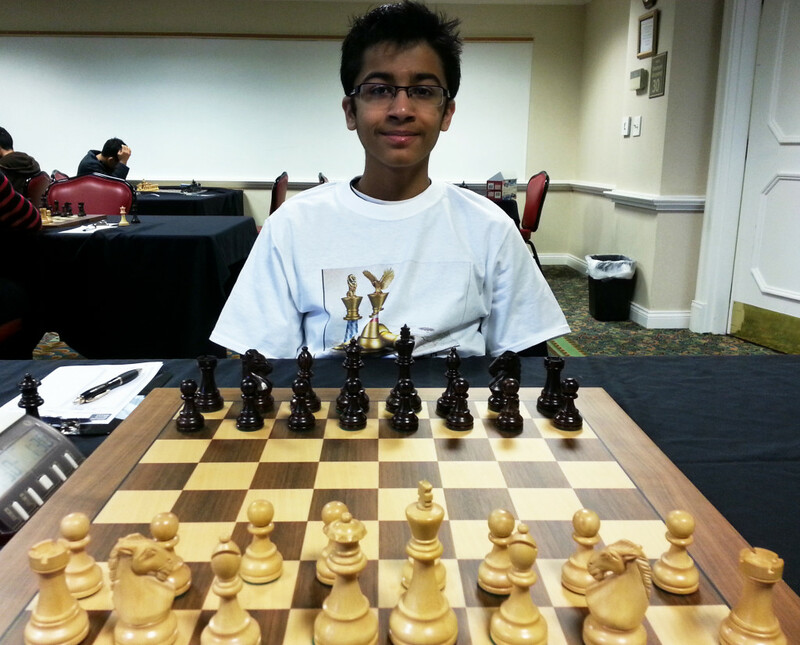 This entry was posted in Chess, Chess Tournaments on February 16, 2015 by Akshat. ← Meeting the Legend Once Again! Believe it or not, I watched your game with Gata “live” that day on their website move by move. I was just curious at your games. Tough loss and good luck next time! 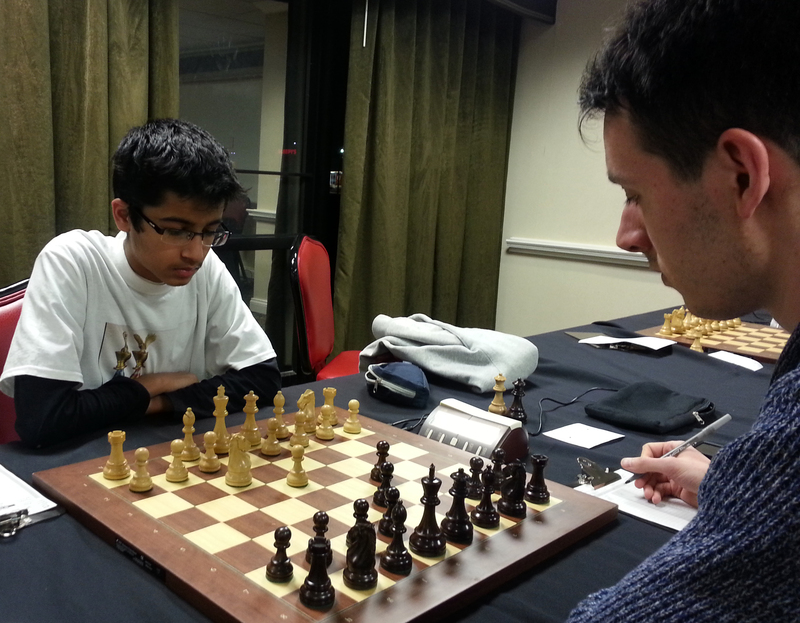 Gata played Anand at Sanghinagar in 1994; Been following him since. Hey Silver Ven, That’s cool that you were following the game live! Yeah, it was a tough loss for sure, thanks for your encouraging words though! Wow, you’ve been following Gata for awhile! Good luck to you! 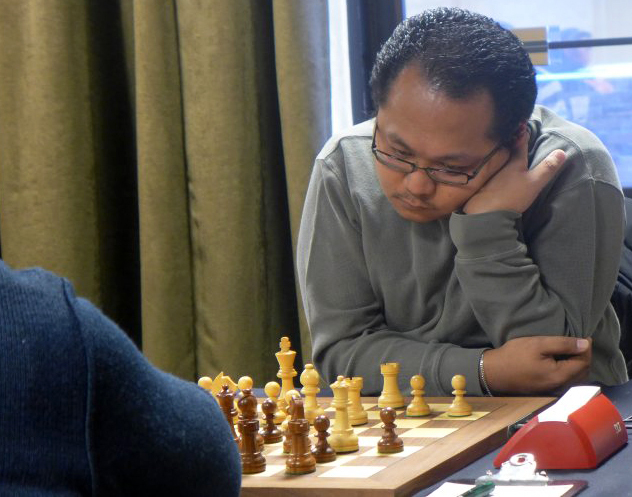 Unrated to GM – a Quest from UK David is passionate about Chess. 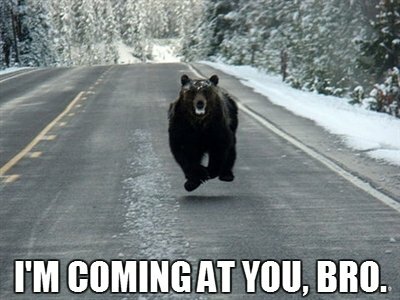 I wish him g’luck! The blog’s about his journey.